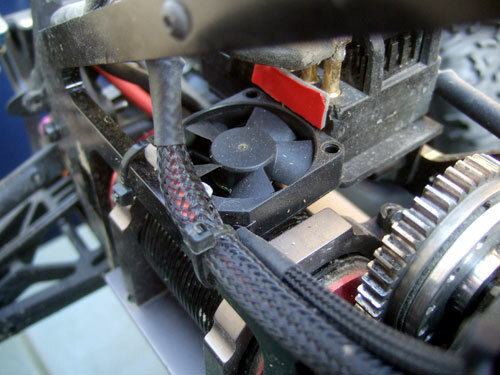 Over the past few months I have installed a few electronic components on the 5t Flux to help it running cooler. 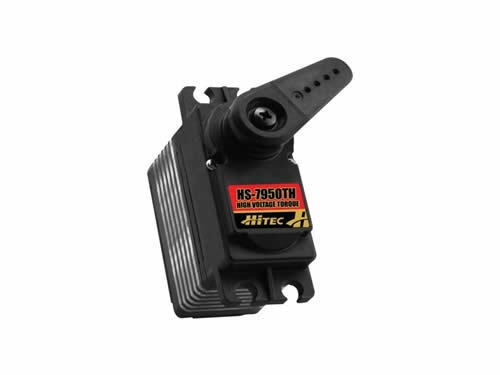 "Just sold it sorry I have 7950 Hitec servo still work good all it needs pin for the gear drive thats all it needs $20 for it"
Needless to say I took his offer and bought the servo. A few days later in the a servo in the mail and its a 7955TG servo and it works perfectly. It was kind of strange but I did not ask, but of course it was too good to be true and I get an email asking me to send the servo back to him because he sent me the wrong one. About 2 weeks later I finally get the 7950TH servo, and never at one point did he ever offered to pay for the return shipping. So the servo did have the missing pin as described but I was lucky enough to find a pin that fit perfectly from my old JR servo. Even with the pin replaced the servo was still asking a bit strange because it would work intermittently. Majority of the time the servo will work fine then all of the sudden it stops responding. To make a long story short Isent the servo back to Hitec 3 times for repair and finally after the third time they sent me a brand new servo. 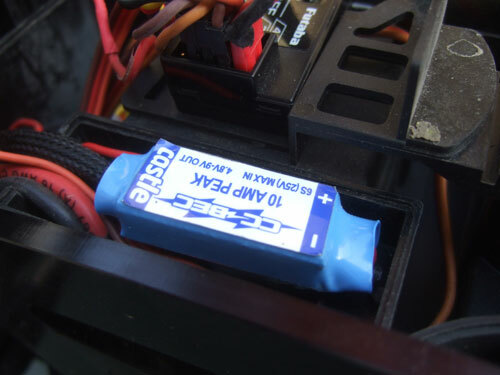 Since I now have a HV servo I wanted to run it at its full potential, so I installed a Castle Creation 10amp BEC. 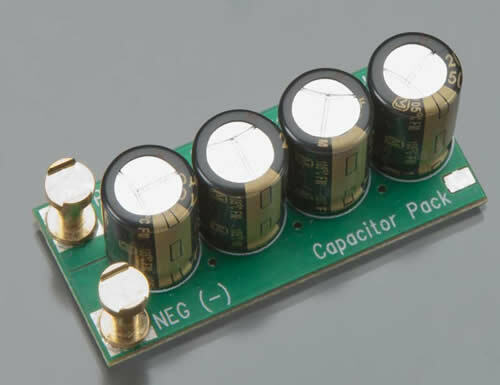 Plus this will lessen the strain on the built-in BEC on the speed controller. Too keep the motor running a bit cooler I installed a fan on top of the motor to keep a constant air movement around it. 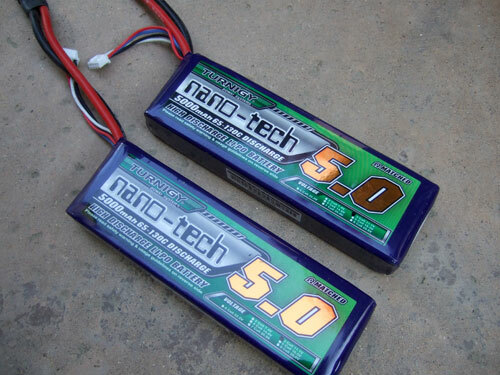 And finally the Turnigy nano-tech 5000mah 3S 65 -130C Lipo Pack. These lipo battery are a lot better than the Turnigy (5000mAh 3S 40C) or Zippy (Flightmax 5000mAh 3S1P 40C). Don't get me wrong here the 40C lipos works great, but the 65C nano tech are even better. 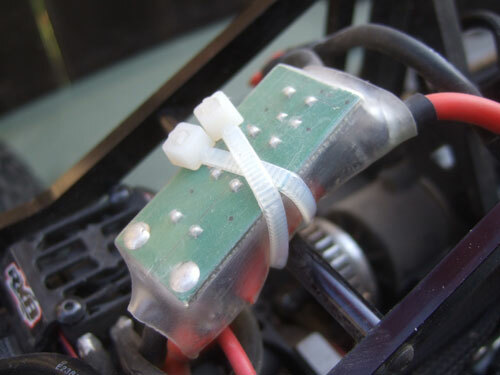 I do not have any equipment to test them but one quick way to tell you the difference is that with the Nano-Tech 65C I can pop a wheelie with the 5T Flux, when as the 40C could not and the 65C lipo runs cooler too.